As NATO prepares for its 11-12 July summit in Brussels – with NATO-Russia relations high on the agenda – and as a Presidential US-Russia summit is due to take place in Finland later this month, there is an urgent need to inject new thinking into the dialogue over how Russia and NATO could safely co-exist and how Europe’s security could be improved as a result. In pursuit of this vision of co-existence, and in full recognition of the differences between the parties and of the dire state that this relationship is still in, a group of Members and Supporters of the Task Force on Cooperation in Greater Europe have agreed on a common Position Paper to guide the relationship going forward. The distinguished signatories include former foreign and defence ministers, military leaders, diplomats and experts from the United Kingdom, Turkey, Russia, France, Ukraine, Germany, Italy and the Netherlands. The Position Paper, developed during a recent Task Force meeting in London with co-conveners Lord Browne (former Defence Secretary of the United Kingdom), Igor Ivanov (former Foreign Minister of the Russian Federation) and Özdem Sanberk (former Turkish Ambassador to the United Kingdom) proposes a new interim and temporary approach to the management of the NATO-Russia relationship. 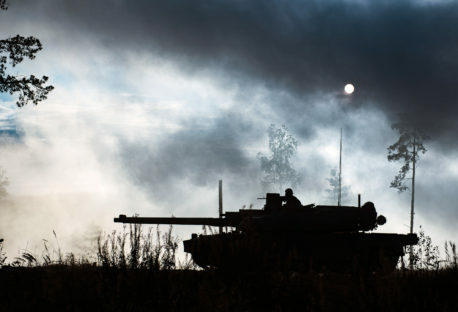 While treating each other as adversaries, NATO and Russia should at the same time take precautions to ensure they do not to stumble into a conflict. Re-affirmation of the language of the Founding Act and Rome Declaration that the NATO-Russia Council will remain the “principal structure and venue” of consultation between NATO and Russia “in times of crisis or for any other situation affecting peace and stability”. Acknowledgement that the current confrontation requires NATO and Russia to focus their attention on addressing the dangers of inadvertent or accidental escalation. Commitment to refrain from the threat or use of force against each other and to resolve any military crises or incidents peacefully. Commitment to work constructively to resolve existing conflicts in Europe, with priority given to supporting the establishment of a UN-mandated peacekeeping mission in Eastern Ukraine. Commitment to implement all relevant bilateral and multilateral agreements on crisis management and incident prevention (e.g. Incidents at Sea agreements), as well as update existing and work on new ones. 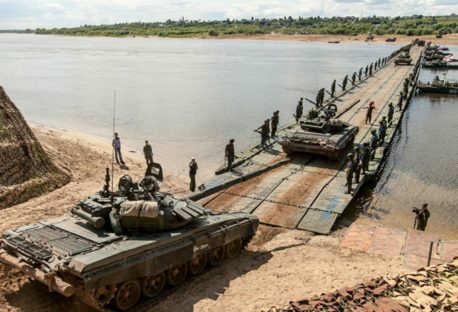 Commitment towards military restraint and strict sufficiency in military activities, exercises and deployments, in the conventional and nuclear spheres, along the NATO-Russia borders. Commitment that the NRC could establish ad-hoc working groups to deal with specific crisis management issues and develop confidence-building proposals, exchange information and conduct additional consultations on military doctrines, exercises, deployments, etc. Establishment of channels for regular and emergency military-to-military contacts, involving the military leaderships of the Alliance and the Russian Ministry of Defence. 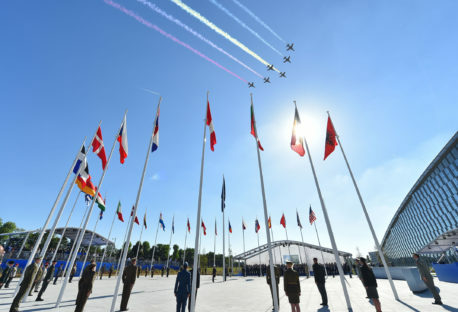 Agreement to maintain, on a reciprocal basis, the Russian representation at NATO Headquarters and NATO representation in Moscow at a level that would allow them to fulfil the tasks stipulated above. Reaching such a basic understanding on the interim rules of the game would not constitute a “reset” of NATO-Russia relations, but it would open the way for more transparency, predictability and risk reduction as well as for avoiding misunderstanding, miscalculation and unintended escalation. Download the Position Paper in Turkish here. Download the Position Paper in Russian here. Russia and NATO: How to overcome deterrence instability?